and thank you very much! from the creative Duni at Lovely Purses. 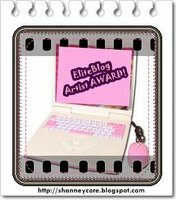 You are currently reading >Elite Blog Artist Award… at fireandglass.